There is no wish to spoil anyone’s fun though! 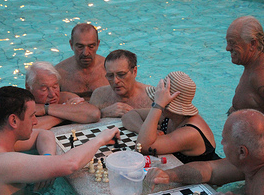 During the general maintenance, on a given day, only 1 pool of the 18 pools will be closed down! Please see the details below. 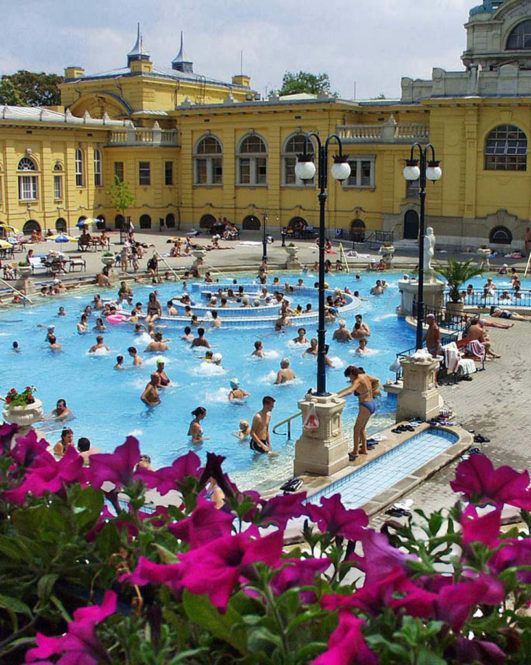 These are the upcoming maintenance works of the outdoor pools in Szechenyi Baths during the spring pool maintenance works in 2017. 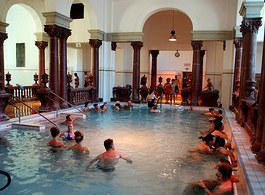 Please note that the spring maintenance does not affect the 15 indoor pools, only the 3 outdoor pools. 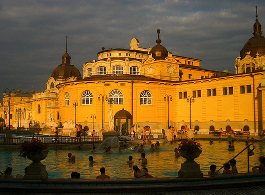 We are a group of 8 people planning to pass the day in the Szechenyi baths on Saturday May 28. Please let us know conditions and prices of booking. Is bathing cap use mandatory? thank you for contacting us. 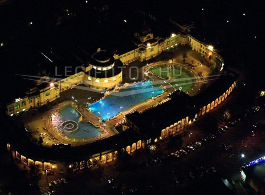 We have sent you a group offer for Szechenyi Bath entries via e-mail with all the details that can be useful on your visit in the Bath. The refund for the bath entry is only issued if you let us know about the cancellation possibly 2 but min 1 day in advance. We can not make a refund after or on the day of the visit. Are all the outdoor- pools closed 20 March and 1 April, 2017? all the outdoor pools will be closed, but not in the same time, so Guests can enjoy the outdoor pools during these days as well. Are there pool parties between 7.4-9.4.2017? 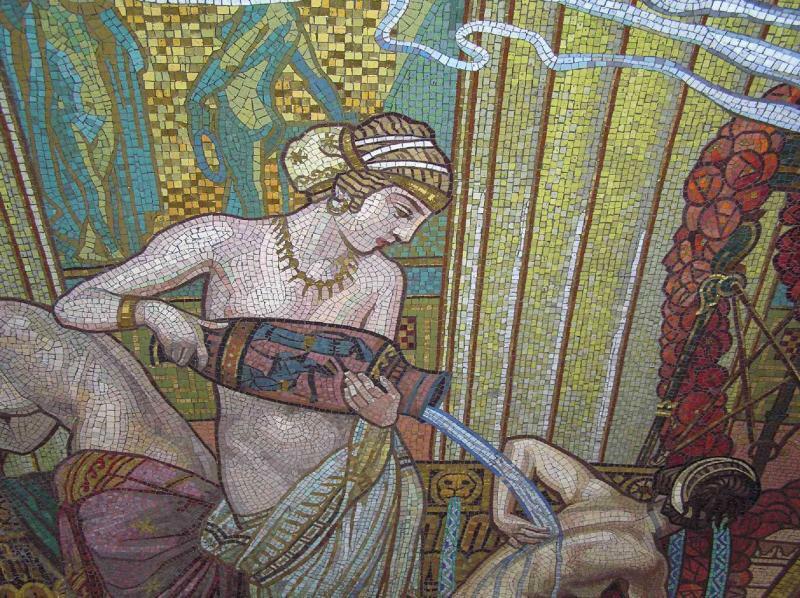 there will be a bath party on the 8th of April. Hi are there any pool parties between 8-14/05/17??? there will be a bath party on the 13th of May. 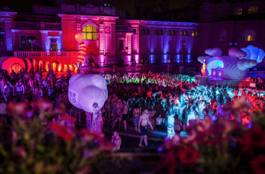 Have a nice stay in Budapest and enjoy the party! I would like to find out : we are 3 people: a wife , a husband and grandson 19 years old . Can we buy on-line 1 tickets for my husband with cabin, 1 ticket for my grand son with a locker, 1 ticket for me with a locker. In this case can my husband and my grandson use one cabin to change clothes? Do we need to use this tickets only on the date we buy or if we change planes can we go on another day?Do we need swimming caps? Do you have a discount for students? it is possible to use the same cabin, but you will have to take turns, as the cabin size is approx. that of a dressing room in a clothes shop. If you would all use the same cabin, the price difference would be EUR 3 (weekday tickets with cabin: EUR 18, Weekday tickets with locker: EUR 16.5). If you let us know on the day before we can change your tickets to a different date. 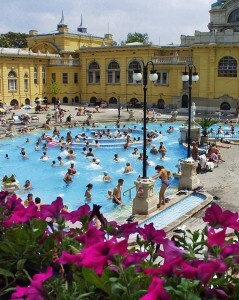 Enjoy your time at Szechenyi Spa Baths!